With your plumbing equalling an average of 15% of the value of your home, your drainage system should be one of the first priorities. It is crucial to maintain your drain tiles by properly cleaning them every 12 to 18 months. Our last blog post informed you of why having a camera inspection of your drain tiles was beneficial, before having your drains cleaned. The goal is to extend the life of your system, and be able to prevent emergency situations that cost a great deal of money to repair. We aim to save you money by knowing about potential problems and fixing them before they occur. But what’s next? What happens after a camera inspection? A power auger or cable machine (i.e. snaking a clogged drain). If your pipes are fully blocked, a power auger or cable machine is used first. This is followed with the Hydro Flushing machine. A Hydro Flushing machine (i.e. hydro jetting). 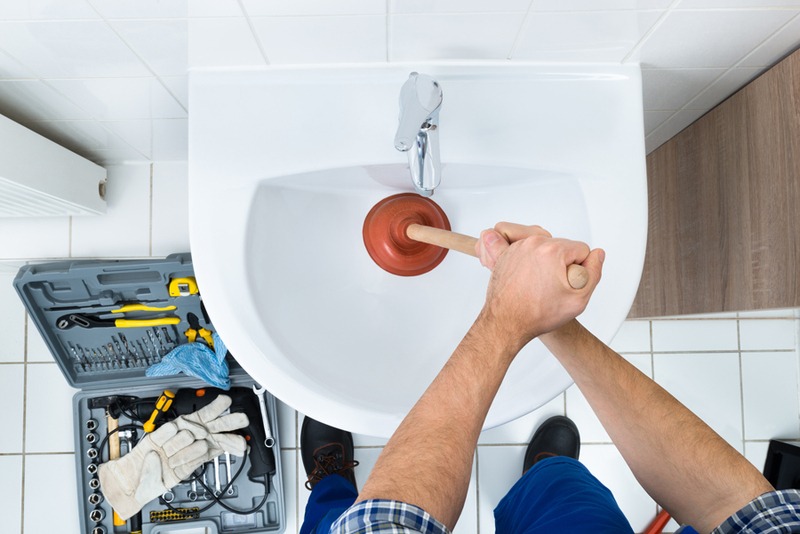 If your pipes are not fully blocked, a Hydro Flushing machine will be used to restore the drain line back to full health. Here are a couple of real life examples with two of JJ’s Plumbing’s customers. A customer wanted a camera inspection on her drain tiles. We did a full inspection of her entire surrounding pipes. We noticed that leaves, dirt and pine needles were gathering around her property where they fell from the gutters and roof, therefore increasing the chance of clogging her drains by going into the drain system with rain water. We started the camera inspection and found a few points of concern with debris starting to form. The perimeter drains ran from one side of the house to the other, and eventually drained into the city piping. After going through with the camera inspection, and looking at what type of piping the customer had, and where the problem spots were, we were able to make a plan for cleaning them. We decided on using the hydro jetting as the customer had PVC piping for most of her piping. We flushed out the pipes by starting at the sump and shooting high power water through the system, therefore clearing out all of the debris within the pipe. We just recently completed a job where we hydro jetted the lines — however, we did not perform a camera inspection. 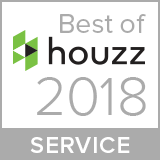 We had recommended one to the customer, as we always do, but the customer did not want to pay for the additional service. All of the lines ran smoothly after we performed the hydro jetting, and we tested the lines for an hour — there were no back ups. After we had completed our service, the customer ended up having her roof and gutters cleaned out, and then noticed problems with her drainage again. We performed a camera inspection, and learned about a soccer ball, as well as the pine needles that had gathered. 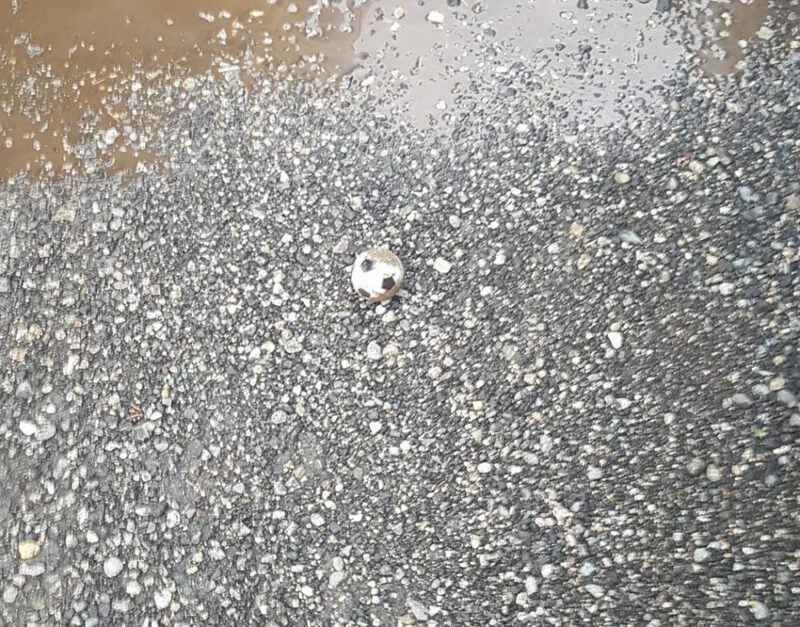 They both clogged her drains, so we performed the hydro jetting again, removing the debris — and the ball! Amazing what you can learn from a camera inspection. 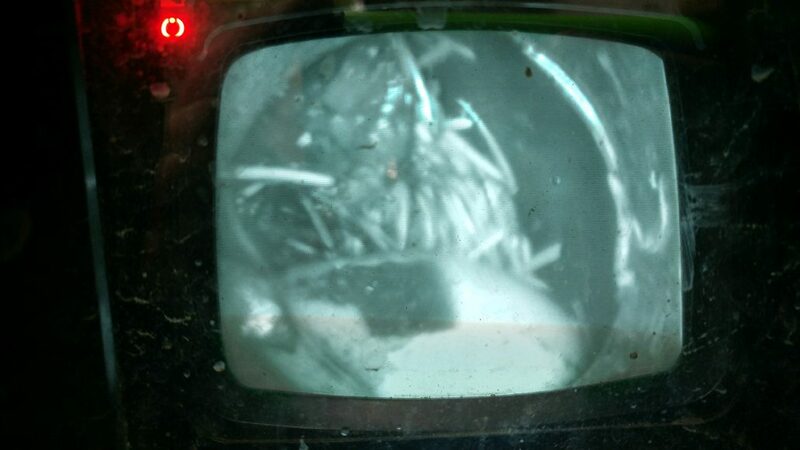 Soccer ball and pine needles inside the piping, being viewed by camera inspection. Drain cleaning is currently on special for $30 off the service. Book your camera inspection and/or drain cleaning today and call 604-479-2232 or email service@jjs.plumbing. We had a record-breaking dry and high temperature summer in BC. 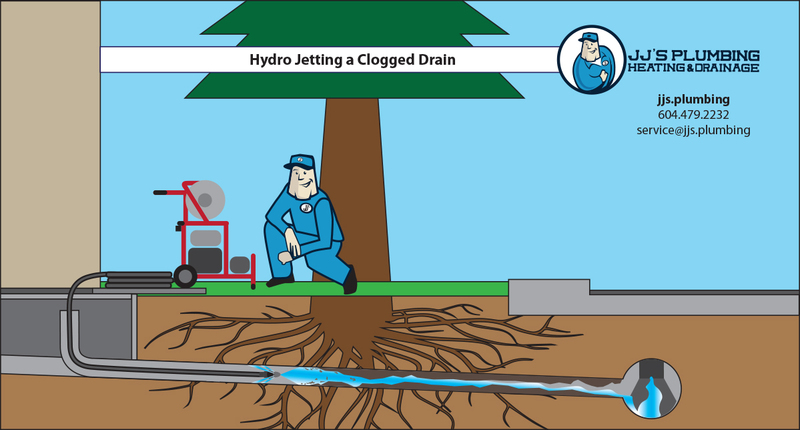 With hot temperatures and dry conditions, tree roots seek out any water they can get, increasing the chance of them finding their way into drain tile systems. Now, as fall has arrived, you need to prepare for the expected weather condition of… you guessed it, RAIN. Right now is the perfect time to schedule a drain inspection for your home. We know what you’re thinking: “Another added expense for just an inspection? But what if everything is A-Okay down there? Isn’t that a waste of time and money?” Let us provide you with some reassurance of why a camera inspection is a smart idea. A camera inspection from plumbing professionals is a great idea because it prevents small issues that could be forming, from becoming large problems. Not to mention the process is quick and efficient. Inspecting your sewer and drainage system allows us to see the state of the drain tile. Wouldn’t you rather know the state of your drainage system, than be worried about it until something unforeseen happens? The reasoning for a camera inspection is to extend the life of your system, and be able to prevent emergency situations that cost a great deal of money to repair. We aim to save you money by knowing about potential problems and fixing them BEFORE they occur. 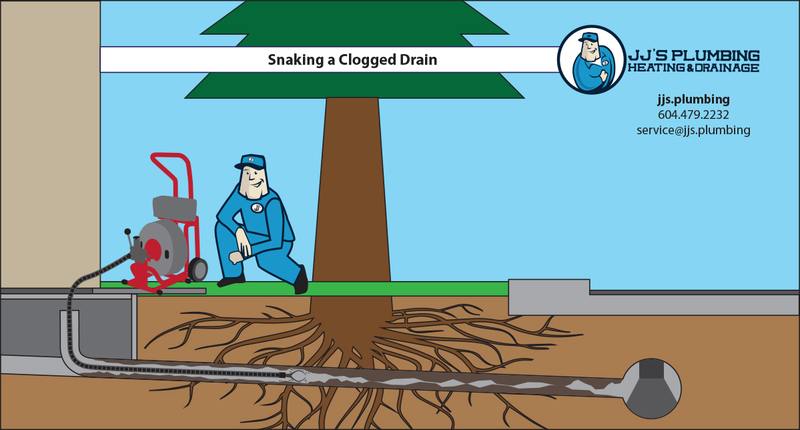 A camera inspection of your drainage system allows us to see if your drains are clear, clogged, broken or cracked. Build-up of blockages or debris can be seen with our closed circuit television (CCTV) cameras—or worse, we could discover structural damage due to root growth and/or land settling. The inspection permits us to see if there is any damage and potential of future problems. Get in touch with the experts at JJ’s Plumbing to ensure that your drainage system is going to do its job during the fall, winter and spring seasons (or in other words, the rainy and wet seasons in our province). Book your inspection today to ensure you are taken care of. 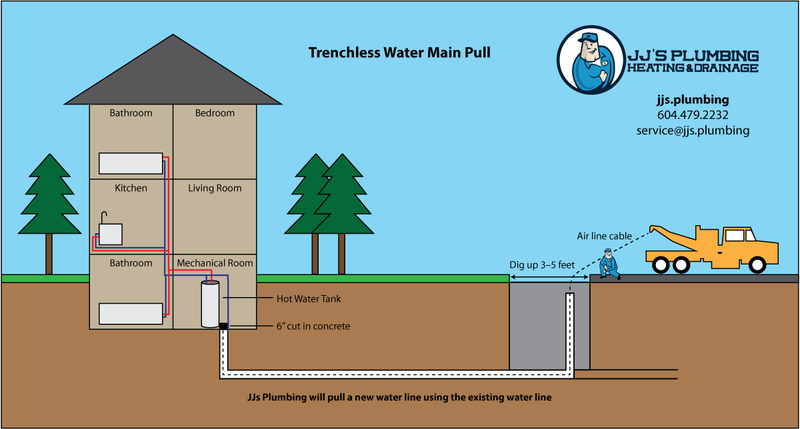 Call 604-479-2232, email service@jjs.plumbing or fill in our online form.